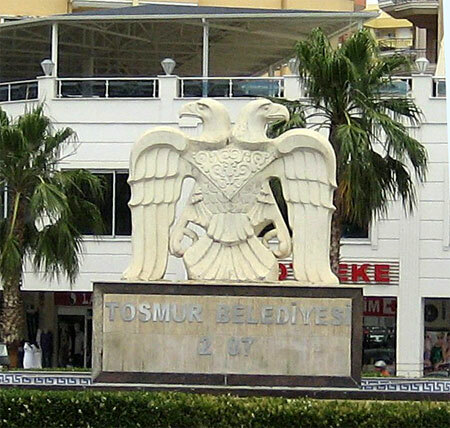 The sculpture "Double Eagle" in the Turkish city of Alanya, Turkey. The sculpture was installed in 2007. The double-headed eagle is used in the symbolism of many countries. Photo from trip to Turkey, 2013. View location of resorts on the tourist map of Turkey.